The sun was out, the birds were chirping, and the day was prime for our trip to Hebron. Not exactly. The weather was cold and rainy, but the hostile atmosphere kept us on our toes (avoiding the deep, freezing puddles also kept us on our toes). Like all tours we began at the start, but this start was unique. It was the start of all of Judaism, the Cave of the Machpelah. The tour was structured so that we could hear two perspectives, the two Boston natives representing “From Walls to Windows” began. 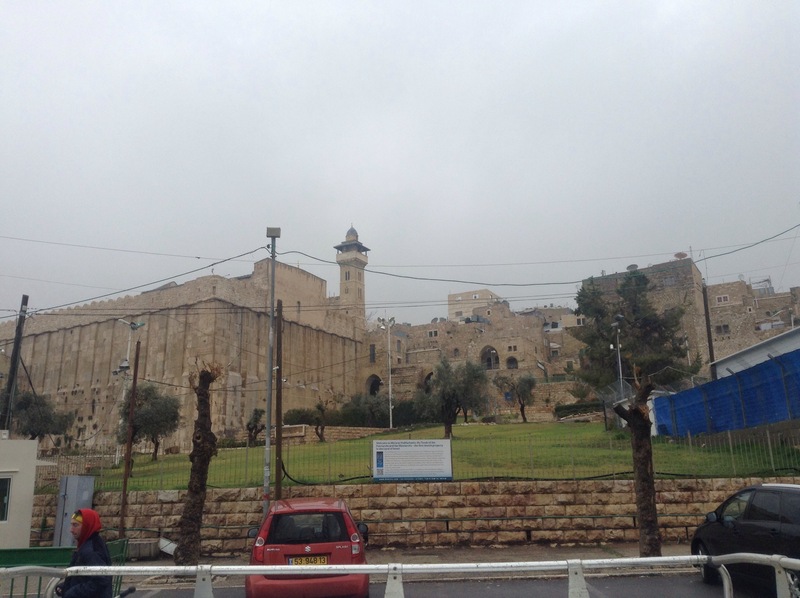 The old city of Hebron seemed eerily empty and quiet. Apparently, this phenomenon was typical for the H2 area. A once thriving shuk that rivaled Machane Yehudah was less busy than my local Blockbuster. Since Jews could not physically relocate Arabs living in Hebron, we visited the last remaining Arab shop on the main drag (a row of three or four unconsecutive shops). All other stores had been purchased, but his brave arab man had sworn to himself that he would never sell his shop regardless of the price being offered. He proved to be successful and true to his word. 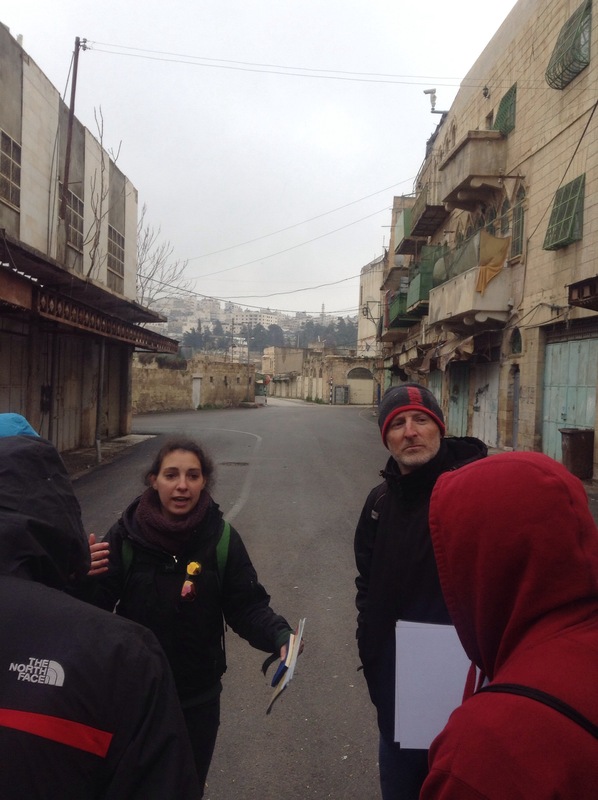 The guide took us on a detour up a mountain to a Palestinian youth clubhouse. I was shocked that the Palestinian speaking to us did not hide the anti-Israel strategies he taught his peers. He was proud to use his camera as his weapon, he explained. It was the most peaceful, least violent and most effective way to get his message across. Despite having a biased opinion and strong agenda, I was impressed by his passion. 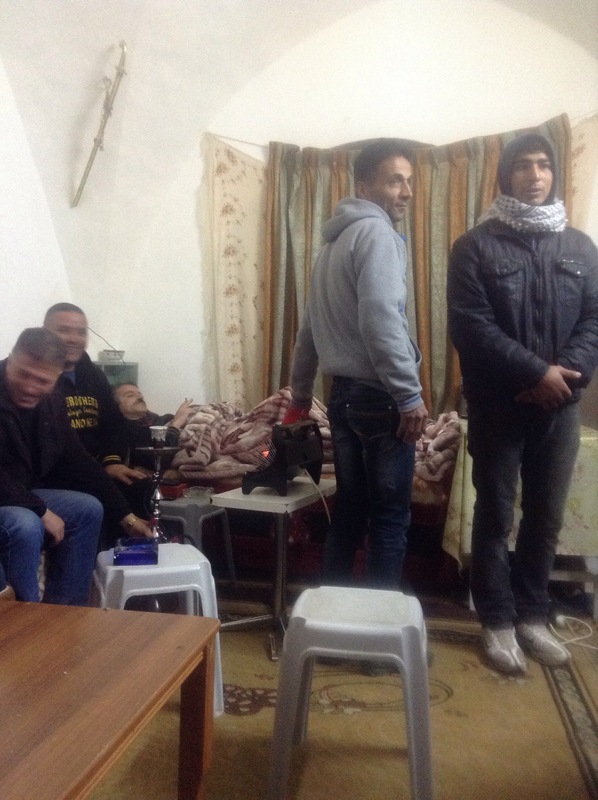 He led us down the mountain to a Palestinian, one-room home. Apparently, this tiny apartment was meant for an entire family. It fit our entire class, the inhabitant and several of his friends; however, comfortability was not a privilege we enjoyed here. At least it was an opportunity to step out of the rain and sit down. 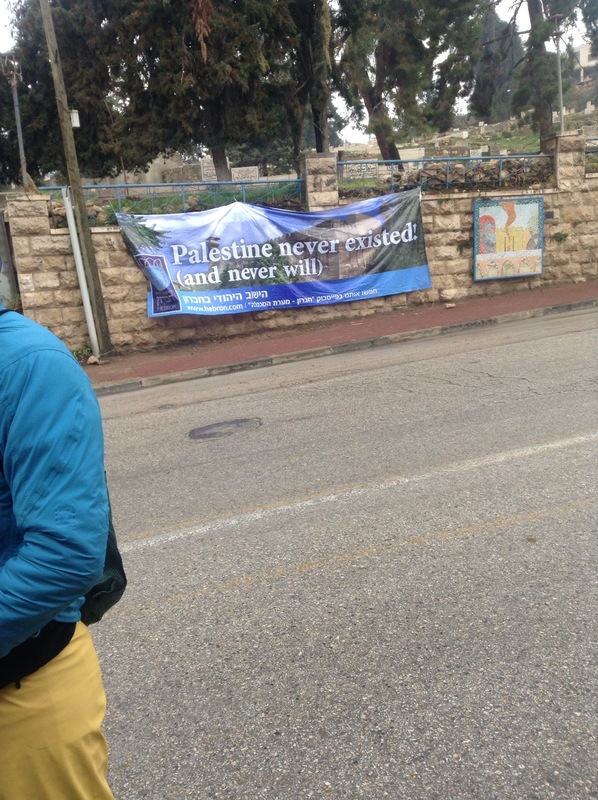 As the Palestinian spoke, his bias was obvious. Some of his arguments were ridiculous, but some genuinely appealed to me. It was an interesting ending to a solid morning. 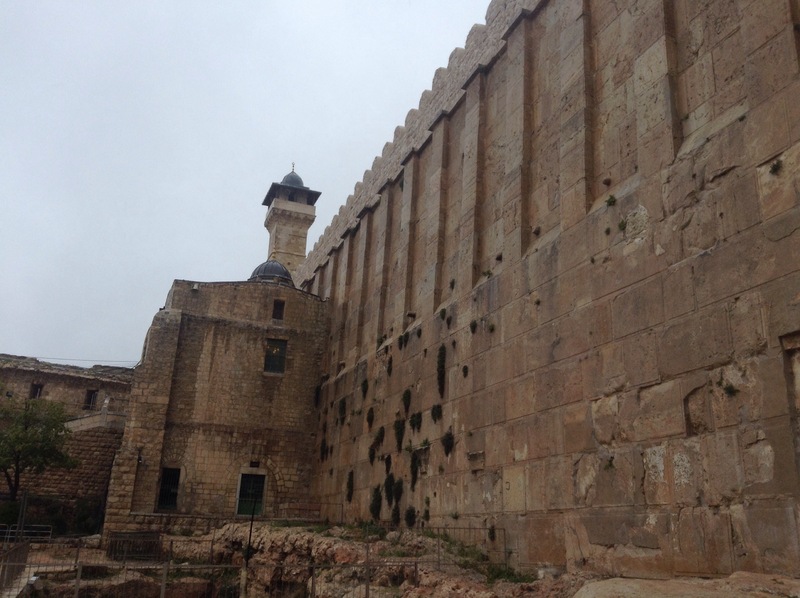 After getting a taste of Hebron’s finest pizza…we transitioned to the second part of the day and started inside the Cave of the Machpelah building. Our guide introduced himself and the most visited landmark in his hometown. It was interesting to see some of the most orthodox Jews in the world in the same building as some of the most religious Muslims. Once again, in our weekly sikkum, I found myself more left than right. 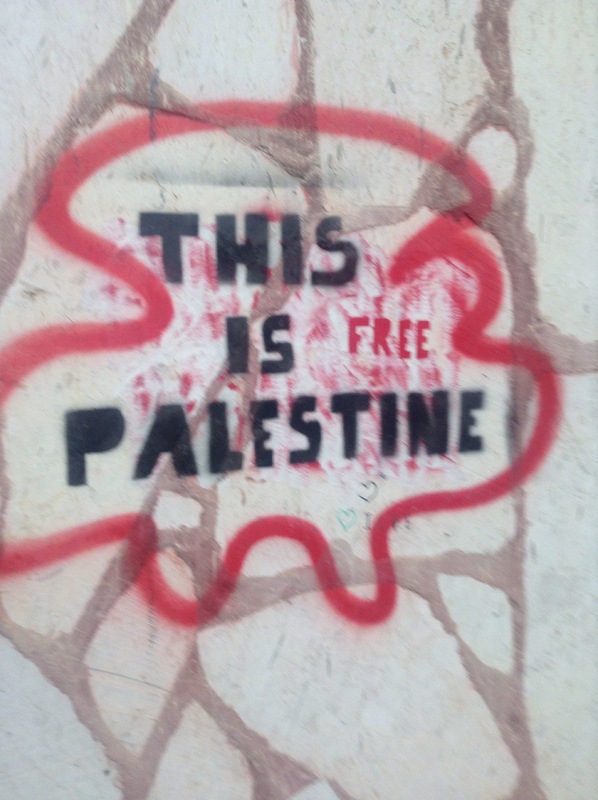 Maybe the first guides had given a better presentation, or maybe the Palestinians did have more claim to Hebron. Either way, the five hundred Jewish residents in Hebron do not compare with the hundreds of thousands of Arabs living there. To me, some instigators are valuing some rocks instead of a better relationship with our neighbors.